Most of us put so much focus on wearing nice clothes and smelling good. But, what about your nails? Nails that look unhealthy ruin the look—and while polishes can be a quick fix, we must make sure our nails are in great shape to start with. This is why we made this list of the best nail buffer for shiny nails. So even without that pretty nail polish, you’re confident your nails still look good even while bare. The OPI Brilliance Buffer Block is a 4-sided buffer that can be used on both natural and artificial nails. The top and bottom sides are colored green which is used to remove imperfections. Meanwhile, the left and right sides are colored white to polish nails to your preferred shine. 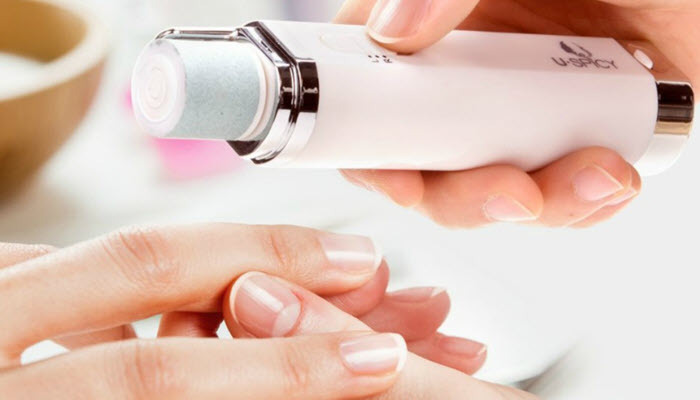 Your nail surface will feel smoother in an instant after using this nail buffer. Nail polish will glide on more smoothly so your nails look cleaner and professionally done. It also looks great on bare nails—in fact, the glossy finish lasts for about 1 week. Just remember not to apply oil before using this product to get the best results. The TsMADDTs Nail File and Buffer Set comes with 6 nail buffers and 6 100/180 grit files to give nails the complete treatment they deserve. It can be used on natural and artificial nails and can be used on pets, too! The files are made of quality materials to shape nails easily and effortlessly. On the other hand, the buffers have 4 fine sides and have a very dense sponge on the inside. These buffers are great for heavy-duty sanding so those with thicker nails will really love this product. 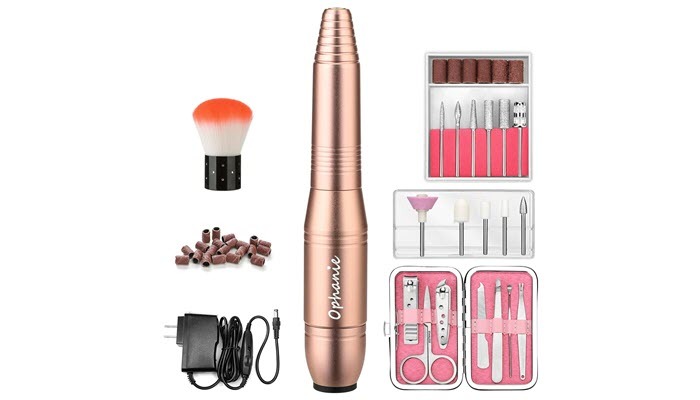 The Ophanie Electric Drill Set is perfect for home or salon use. It comes with 11 drill bits, 26 nylon wheels, a nail drill, a brush, a set of nail cutters, and an acrylic nail kit. Basically, everything you need to get that perfect manicure. The drill is very easy to use and makes little noise and low vibration. It’s small and lightweight, too, but not to the point that it looks and feels cheap. The body is made of aluminum for even heat distribution and has a long, 51-inch adapter. But, it has to be plugged all the time so we won’t recommend this for those who travel a lot. 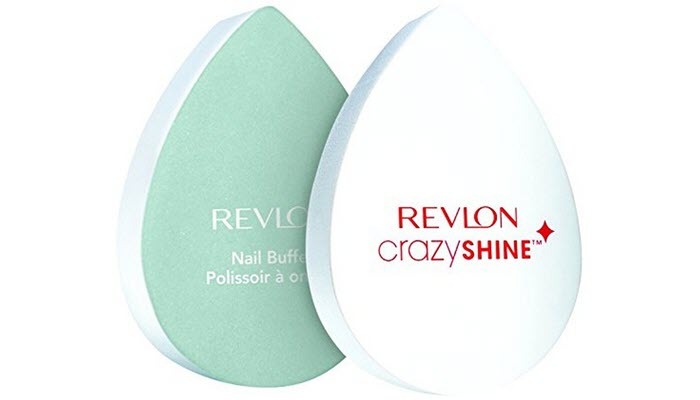 Like the first product, the Revlon CrazyShine Nail Buffer comes with 2 sides. The green side is to smoothen the nail surface while the white side is to polish the nail. You can now have shiny nails that last for 3 days in just seconds. Also, it claims to make nails 400% shinier as compared to bare nails. What we like about this product is the shape. It has a “teardrop” shape so it’s very comfortable to hold and gives you more control compared to block buffers. Sadly, others say it isn’t very long-lasting and wears out only after a few uses. A nail buffer is a tool used to make nails look shiny by sanding the surface. 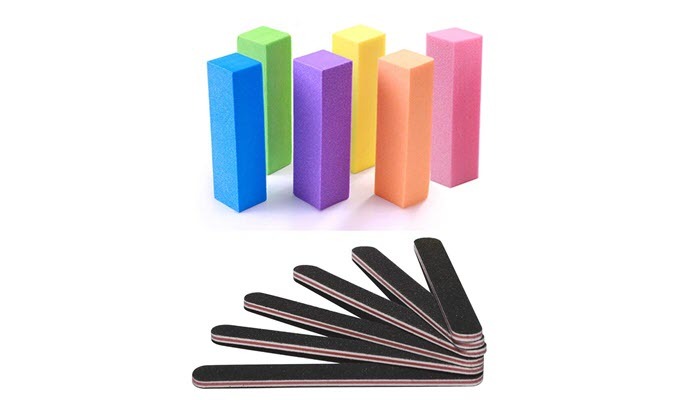 It is a sponge or an emery board that has different sections with varied textures on each side. It’s great for women who don’t have time to go to the salon and get their nails done. Since buffing the nails leave them shiny, it is less time-consuming than applying clear gloss or polish. But, nail buffers can also be used by men, too! Compared to women, nail polish on men looks inappropriate. This is where nail buffers enter—with this tool, men can still have clean and polished nails while still looking natural. Nail buffers can either be manual or electric. Manual nail buffers look like big nail files and usually come in rectangular blocks. They can be used on real or artificial nails and are generally inexpensive. Most nail buffers come with 3 sides. The coarse side is used to smoothen the surface of the nail as well as its ridges. Then, use the medium grit to rub the nail surface, and then finish with the fine side for the final touches. Four-sided nail buffers usually have each side labeled from 1 to 4. It’s crucial to use each side in order for you to get maximum results. First side – This side is for filing. Use this side to shape your nails, and do it in short rubs and in one direction to avoid ruining the shape of your nail. Second side – Use this side for buffing. Go in an X-shape rather than going back and forth—also, don’t overdo it to avoid damaging your nail surface. Third side – polishing. This side smoothens the nail surface even further and improves spots you may have missed while buffing your nails. Fourth side – the final step is for shining your nails. Your nails are now ready to be painted with that polish you like. On the other hand, electric nail buffers do a faster and better job than the manual ones. They’re just more expensive because obviously, they run on electricity. Don’t over buff your nails as it can weaken them. Less is more, so buff only when needed and wait until your nails start growing. If you have a skin infection or your nail buffer comes in contact with blood, throw it immediately! Avoid using old nail buffers. If your buffer is no longer as good as before, you should probably get a new one. Keep nail buffers away from children’s reach. They may scratch the tool on hard surfaces which can eventually make the buffers dull. Avoid manual nail buffers made of paper. For electric ones, make sure to wash only the tip. Pregnant women should be more careful when getting manicures or pedicures. Make sure the salon sterilizes their tools properly or if they allow it, bring your own tools. 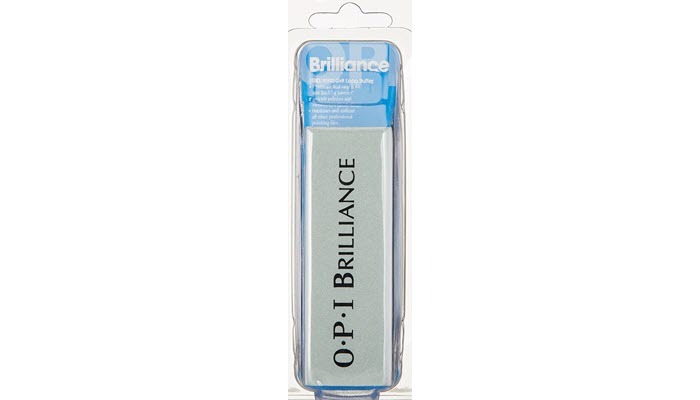 The OPI Brilliance Buffer Block is our choice as the best nail buffer for shiny nails. This 4-sided buffer is very easy to use and can be used on both natural and artificial nails.